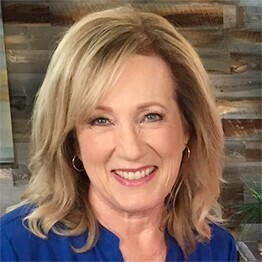 Kay Warren, B.A., is the co-founder of Saddleback Church with her husband, Rick, an international speaker, best-selling author, and Bible teacher who has a passion for inspiring and motivating others to make a difference with their lives. She is best known for her more than 10 years as a tireless advocate for those living with mental illness, HIV and AIDS, and the orphaned and vulnerable children left behind. As an advocate, she has traveled to 19 countries, calling the faith community as well as the public and private sectors to respond with prevention, care, treatment, and support. Kay is also a board member of the National Action Alliance for Suicide Prevention. When her youngest son, Matthew, took his life in April 2013, her life was dramatically altered by the catastrophic loss. As she and her family continue to grieve the loss of Matthew, she has determined to be a voice for those living with mental illness. Her message to the faith community is to eliminate stigma, shame, and fear and create warm and accepting places of refuge for those who suffer. Kay is the author of several books, including Sacred Privilege: Your Life and Ministry as a Pastor’s Wife, Choose Joy: Because Happiness Isn’t Enough, Dangerous Surrender, Say Yes to God, and coauthor of Foundations: 11 Core Truths to Build Your Life On with Pastor Tom Holladay. Drawing on more than 40 years in ministry, Kay provides encouraging principles and life lessons, along with intimate personal stories that will give you the confidence to lead and live well. Her children are Amy and Josh, and Matthew who is in Heaven, and she also has five grandchildren: Kaylie, Cassidy, Caleb, Cole, and Claire.